As a blogger/marketer for a small real estate brokerage in Idaho Falls, The Group Real Estate, a small time brokerage doing big things, I am here to make sure and bring you the best content on how to buy your home here in Idaho Falls, how to renovate your home, where to go to look for the best agent, however, every now and again, I love to give you guys a blog, or two, about how I love being a nerd, love film, love sports, and all other random enjoyments. Most of you know, if you have read my blogs, that I am a big Power Rangers fan. 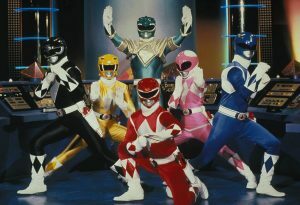 Yes, the Mighty Morphin Power Rangers, that are still so popular in today’s culture. I grew up in the 90s, and some would argue that I may have been a little too old to enjoy the height of the original Power Rangers, but I didn’t care. I was bought in. Now that I have my own children, and the original Mighty Morphin Power Rangers in on Netflix, it is something we frequent day in and day out. I love the messages that are taught in each episode. Letting us know that we can all be social with one another, that bullying should be stopped at all costs, and that love, and family should wholly abide. Sure, there are some silly qualities to it, but the cheese factor is something that I truly love about it all. And now that I am older, and have considered how each episode was made, the true work that was put into it, it truly is inspiring to know what all these actors went through. One of these actors, David Yost, was one of the highlights. I have a great memory of an “after episode” moment with he and Amy Jo Johnson (who played Kimberly Hart – the Pink Power Ranger) talking about the gymnastics required from them, as actors. There was Billy Cranston, the Blue Power Ranger, doing back flips in his cover-alls. As a part of this episode, they talked heavily about bullying. Later, in my life, as I would watch Power Rangers as an adult, or with my kids, I started to watch specials on all the Rangers, their lives, etc. Seeing that the original Red Ranger went on to be a fire fighter, the original Green/White Ranger had a dojo where he did martial arts training and teaching, the sad passing of the original Yellow Ranger, and seeing the Amy Jo Johnson went on to start doing music and directing her own feature film. So many great things with all these heroes of my childhood. This led me to find out about some of the horrible things that had happened to David Yost on the sets of the show. This was especially hard for me to take in, as he was one of the main reasons I could stand up to bullies in my younger years. I was heavily bullied in grade school, for being to small, not having enough money, or simply liking things that might have sounded “childish” to other kids. I moved to a smaller town in my middle school years, where I was more readily accepted for my nerd loves and being smaller. There are so many reasons to stand up for ourselves in this life. We are supposed to have hard times. We are supposed to have those down times. These help us garner more gratitude for the great times. This was something that David Yost exemplified in as he came out to the public, letting people know that it was hard times on the set, but he would never let that keep him down. He started a company called Affirmative Clothing. Affirmative was a word that Billy would use in the show, but is now used by the company he co-created, as this was a word used for the notion of celebrating the diversity in the world and truly affirming you are in this life. What a powerful movement to create. As we learn to stand up for ourselves, this is truly the inspiration we need to look at. So many more reasons to affirm ourselves in this life, then there are to be torn down by. In today’s world we are so worried about the affirmation that we get in this world, from people around us, from the companies we work for, etc. 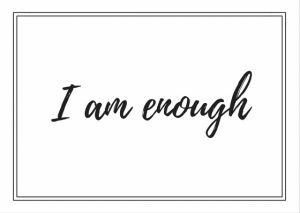 That we forget that we truly need to affirm ourselves. We need to be the best version of ourselves. When that magical moment happens, we will truly never look for the affirmation that we need from others around us. I finally bought a shirt from them, to which I was so excited to share this with David Yost, as he was such a big part of my childhood and still is there inspiring me. After receiving the shirt, I sent him a picture through social media and he got back to me in such a short period of time. What a wonderful experience, knowing that I was there to support one of my all-time heroes, and the reciprocate was returned a hundred-fold from such a wonderful man. This is something that is truly special about the nature of what David is trying to do. David is truly there to make sure that you are there affirming who you are in this life. Take the step. Be you. Affirm who you truly are in this life. 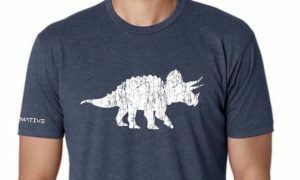 Head over to affirmative clothing and pick up a shirt to two to support such a wonderful movement. Take pride in who you are.